I’m sure you are tired of the mounting issues faced when paying your bills in Zimbabwe. Just getting the money into your bank account in Zimbabwe, if you are working or living in the diaspora is a pain and can be a challenge. You may have experienced some of the challenges below each time you pay bills. What if you can simply pay your bills using your bank debit card, in the convenience of your home? ZymPay is the perfect financial solution to paying your bills online, and the service has already been used extensively for funeral insurance collections for Zimnat Sanlam, Madison Life, Apollo Hospitals Group, ATS Schools, GAIN Cash and Carry and other service providers. 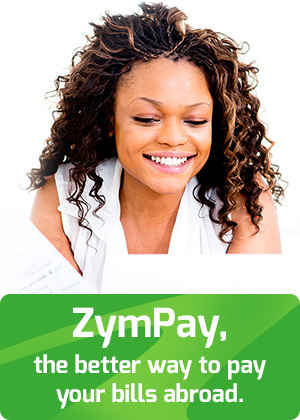 Now ZymPay is also your mortgage payment solution! ZymPay has entered into a strategic partnership with CABS to facilitate payments from their mortgage customers in the diaspora. Now mortgage customers with CABS can pay in just a few clicks, using your bank debit card. Gone are the inconveniences of money transfers, local deposits or payments into other banks to get it to Zimbabwe. With this new system, using ZymPay, the minute you pay online, you get an instant notification of your order and your transaction account at CABS in Zimbabwe is credited within 24 hours and you’ll get a receipt by email. This service is for CABS mortgage customers in the United Kingdom, Europe and Switzerland. Other countries will follow in due course. And we think you’ll be very pleased with the costs of this new service. Fees are on a sliding scale but capped and far better value than making a bank transfer. Plus, you’ll love our competitive and fair exchange rate too. How you benefit by paying your CABS mortgage with ZymPay? What’s even better is that there’s very little cost to you. Simple and instantaneous. You have total peace-of-mind that the mortgage payment is made on time, every time. PreviousPrevious post:Does distance get in the way of managing your family’s healthcare needs in India?NextNext post:For those who choose to make Payments-In-Cash, we have you covered!